Combining the energy of the early seventies feminist movement with the perceptive analyses of the trained theorist, "Woman's Estate" is one of the most influential socialist feminist statements of its time. Scrutinizing the political background of the movement, its sources and its common ground with other radical manifestations of the sixties, "Woman's Estate" describes the organization of women's liberation in Western Europe and America. 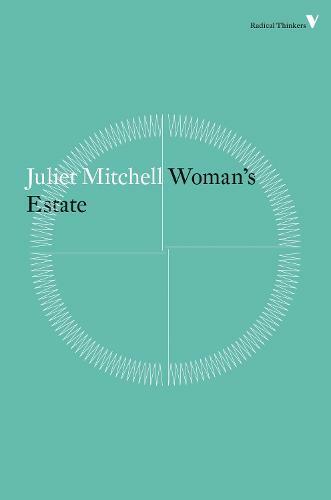 In this foundational text, Mitchell locates the areas of women's oppression in four key areas: work, reproduction, sexuality and the socialization of children. Through a close study of the modern family and a re-evaluation of Freud's work in this field, Mitchell paints a detailed picture of patriarchy in action.